Everyone loves a good sewing blog, including other sewing blogs. One of the best things about the sewing community is just that — it’s a community. There’s no shortage of fantastic designers, DIYers, and bloggers out there, each one bringing their own style and tips to the table, but sometimes that can be a little overwhelming. Especially if you’re a beginner. Whether you’re just starting out and not sure where to turn next, or a sewing veteran looking for some new inspiration, this list is sure to help! We’ve gathered just a few of our favorite places to visit when we’re on the hunt for new projects, tutorials, and patterns. Marcy’s blog is one of the most colorful and optimistic ones you’ll come across. Currently in NYC, she updates several times a month with her newly crafted garments, as well as anecdotes about life in the city. Another native New Yorker, Peter Lappin uses his blog to document his jump into the sewing world. Focusing mainly on vintage patterns (and even sewing on vintage machines), Male Pattern Boldness is the go-to for menswear trends and impeccable sewing skills. Erica’s blog is a requirement for all sewists looking to build up their handmade wardrobe. 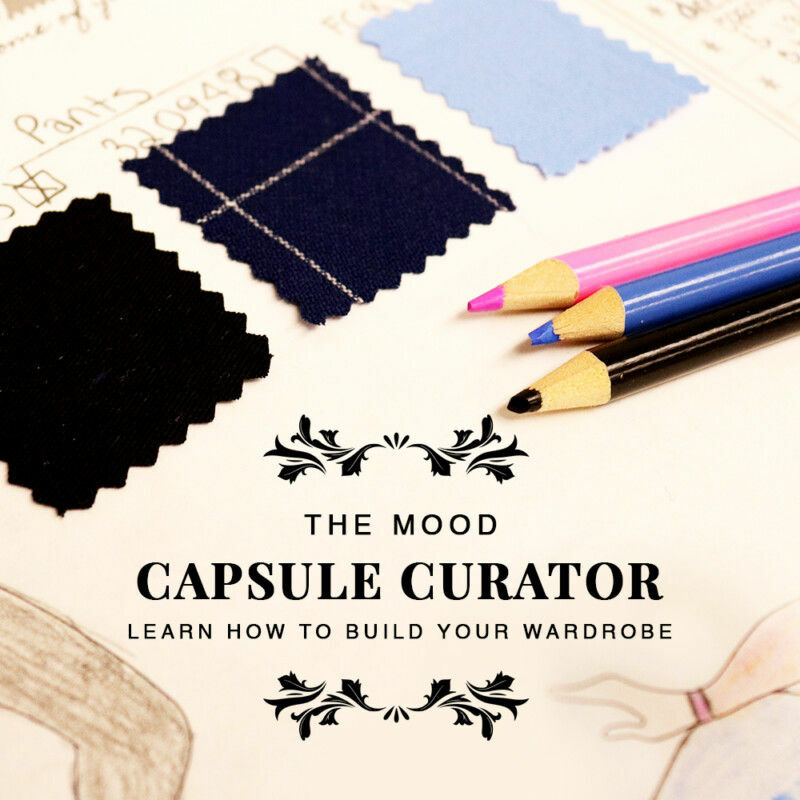 She has tutorials and posts on everything from fabric and pattern selection, to pattern alterations and style tips. Like most sewing bloggers, Tilly began her site as a way to connect to fellow sewers and DIYers. Nearly a decade later, Tilly and the Buttons provides workshops, patterns, project ideas, and inspiration for any level sewer. No sewing blog list is complete without Gertie. Known for her iconic retro style, Gretchen Hirsch has written several books on vintage fashion and she even has her own line of patterns. These days she does a lot of traveling for in-person workshops and seminars, but her blog is still a great source of online information. Tasha Moss of By Gum, By Golly loves a vintage sewing pattern. Her style features elements from all eras, but focuses a lot on the 1940s; and for the all-around DIYer, she also includes knitting on her blog! Check out this retro outfit below that she made with Mood! Sallie uses her blog as an outlet to inspire all artistic sorts. With a background in fine arts, she brings an interestingly creative eye to the sewing table, often coming up with 70’s inspired looks or even more historical pieces. Colette boasts flattering designs in an array of styles, and their not wrong. Whether you’re looking for blouses and dresses or menswear basics, you can probably find your style with them. Plus, they have great tutorials and instructions. If you’re a fan of contemporary, wardrobe-ready sewing, Grainline should definitely be on your list of blogs to check out. They sell dozens of fashion-forward patterns that would work well with any style. Another knitter/sewer double threat, Rochelle of Lucky Lucille actually guest blogged for Mood last year! She makes gorgeous knitwear and wardrobe basics – essentials for any sewer on a mission to create a fully handmade wardrobe. Kelli’s patterns are great for any level sewist looking to grow their closet. Beginning with the super comfy Hudson pant, True Bias has released a number of easy-to-follow projects, including shift dresses, camisoles, and basic tops. This one is another great resource for newbies. Daniela uses her blog to gather free patterns from around the internet, as well as printable sewing tips and charts. You can find anything from full dress tutorials to basic stitching techniques; and now she even has her own shop! Dana has a ton of tutorials on her site featuring quick and easy clothing designs for her kids. Each one is bright, colorful, and (of course) totally practical for everyday wear. Jill’s is another colorful blog! She has step by step tutorials, often trying out indie patterns, for how to make functional clothing for children. Think comfy, cute, and totally washable! As a plus size sewer myself, I’ve always found it difficult to find resources. Luckily, some wonderful ladies, including Tanya of Mrs. Hughes, created the Curvy Sewing Collective! Her personal blog documents her current projects and inspirations. Another Curvy Sewing Collective and Mood Sewing Network contributor, Mary is an avid lover of shirtdresses! She tries out and gives reviews on tons of gorgeous and flattering sewing patterns, both PDF and print alike. Not into fashion? No problem. Whipstitch whips up all sorts of projects, organizer bins to bags to quilts and everything in between. Dresses to jumpsuits, jeans to skirts, cuffs to flounces — this blogger has done it all. She’ll inspire you to find gold in any thrift store visit! Amanda doesn’t exclusively deal in dressmaking, but her results are still top notch! Each one she creates is stunning and unique. Suzannah, who used to run Adventures in Dressmaking, has since branched out to include all things DIY on her blog. This has not deterred her from her initial passion, however. She keeps a detailed log of each year’s dress creations on her site, including tutorials for both casual and special occasion garments. Six years ago, Sarah Gunn went on a year-long mission to stop buying clothes. Instead, she created almost 70 new garments, which has since turned into hundreds! After hand-making garments for her daughters for years, Lori has shifted her sewing recently to focus on her own wardrobe. Each of her projects and tutorials are exemplary, but her individual pieces are beyond stunning! No type of garment is off limits for this lovely lady! Dresses, blouses, pants, jackets — anything you can think of to sew, Cennetta probably has a post for you to turn to. Lauren’s impeccable style is it’s own level of greatness. She mixes contemporary with vintage, and puts a lovely modern touch on everything she makes. And her separates make for some awesome mixing and matching. What other sewing blogs do you turn to for directions and inspiration? These are just the tip of the iceberg for sure. Tell me in the comments who you love to read! I’m a big fan of Tilly, Collette, whipstitch and Cotton&Curls.. I’ve featured their patterns on my roundup posts with easy sewing projects! Great list! I could lose myself on these blogs for days! Great resource list, thank you for sharing. If you’re interested in adding additional non-fashion sewing blogs to your list , here’s one (My Sewing Needle. com) It’s a sentimental/memory sewing blog that covers a variety of topics and includes ideas on recycling fashions into other projects. Quiz: What Mood Pattern Are You?